Programs in over 950 destinations in 150+ countries. We earn your trust and your business one meeting at a time. Whether your meeting is local or across the globe, with industry relationships in over 150 countries, we can help! 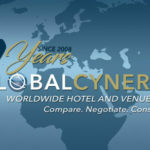 Global Cynergies has assisted in sourcing hotels and venues in more than 950 destinations in 150+ countries with meeting needs that include hundreds, thousands, or even as few as 10 room nights. 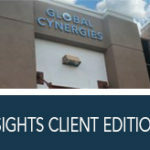 Global Cynergies’ worldwide team of experts offer clients the opportunity to leverage our purchasing power, collective knowledge, and first hand experience to provide the best hotel or venue at the right total value for your program. Use our time to save your money – on average 10 to 25 percent! By using the expertise of hotel and venue sourcing professionals like Global Cynergies, you can move on to other priorities confident that the site selection process is in good hands and that you will make all final decisions, all at no cost to you. Now that’s SMART! The Lexington Hotel, Autograph Collection offers 6 modern meeting rooms located on the Mezzanine with over 3,100 square feet.